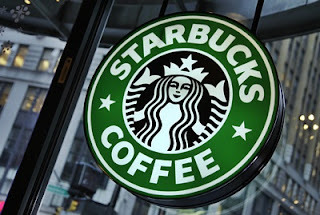 US coffeehouse chain, Starbucks has planned to hire 240,000 more people globally by 2021, including 68,000 jobs in America, the media reported. The company announced its plans for a hiring spree at its annual shareholder's meeting on Wednesday, CNN reported. It marks the final shareholder event that Howard Schultz will attend as CEO before being replaced by Kevin Johnson on April 3. Schultz will remain as executive chairman. The announcement comes as Starbucks is heavily focused on growing its business abroad. It is currently opening one store per day in China, and the company has also entered the Italian market. The coffee chain plans to add 12,000 new stores worldwide by 2021. Johnson told CNN that the single most important thing Starbucks needs from President Donald Trump is more guidance on trade policies -- and there is concern about how Trump's "America First" platform and anti-free trade sentiments may affect global brands. "Certainly, as an American brand, sometimes politics in the US can carry over," Johnson said. Schultz, who endorsed former presidential hopeful Hillary Clinton during the campaign last year, said it was too soon to tell whether Trump's policies will hurt Starbucks. Starbucks is also standing firmly behind its commitment to hiring 10,000 refugees around the globe, a move that the company announced the day after Trump implemented his initial travel ban.